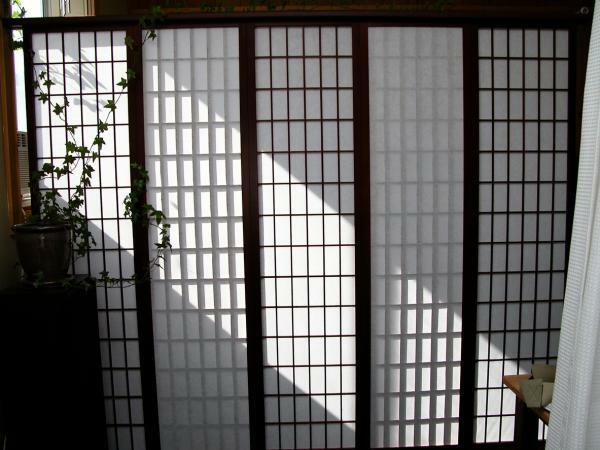 Purchasing a wall divider can easily run you from several hundred to several thousand dollars. When you are thinking of a room divider, one of the first steps is to do what all great designers do - repurpose! Sometimes all you need to do is to step back, look at the space you have to work with, and look at what you already have that might make a great wall divider! Use tall bookcases as a room divider by turning them back to back. Cover the sides with faux leather and attach with decorative tacks, staples, or even glue. Place a desk, lamp, chair and rug off the opposing wall and you have a great attractive room divider. You can also take two desks (Remember your dorm room days?) and turn them back to back. Take a dry eraser board and attach it to the back of one desk to serve as a wall. You can even decorate the other side with cork tiles, thus turning it into a useful room divider for both parties. Take a cue from museums. 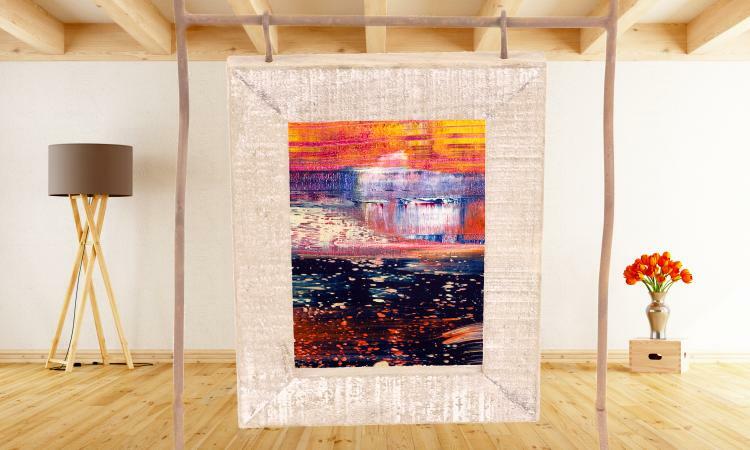 Find an oversized piece of artwork. Suspend it using the appropriate sized wire from the ceiling and anchor it to the floor. Add some track lighting for more drama. You immediately create a breathtaking wall divider and a great conversation piece. You can also face a couch in one direction and back it with an attractive sideboard or credenza. A few tall decorative vases and candles will create the illusion of two separate rooms. Clear out a corner of the bedroom. Place a comfortable chair and ottoman, or chaise. Divide the area off using tall potted plants. If you do not have a green thumb, a trip to an arts and crafts store and you can find tall silk flowers and artificial trees and bushes to create your own green, away from it all, space. 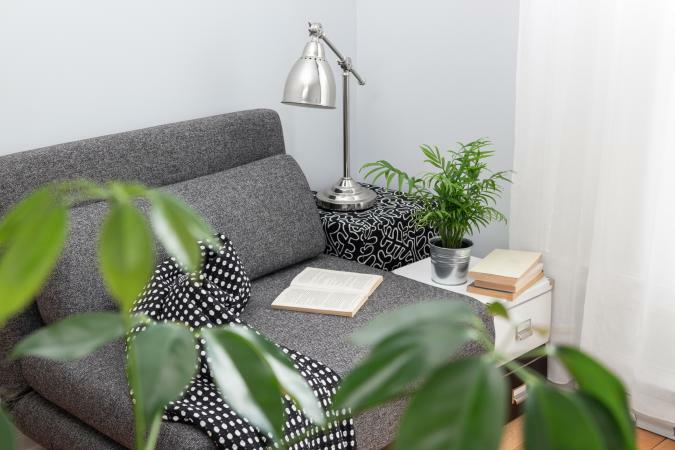 Add a small reading light behind the chair and a small folding table to hold your books and you have an attractive space that will not disturb your sleeping partner. An innovative idea is to take soft, large, foam or paper blocks. Glue them together and then Velcro them to the floor and wall. This room divider can easily move to form a different room configuration. 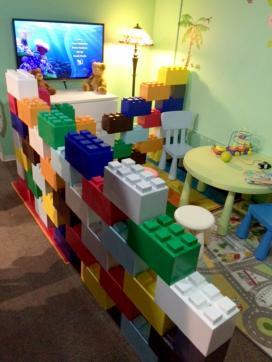 You can also use large modular plastic blocks that can be configured into various shapes and sizes and use them as room dividers in a playroom, too, especially if your kids had been using them for playtime. You might need to purchase a second set to fit the room, but they still come out cheaper than putting up a wall or false wall! Area rugs and even gym mats can also be used to divide the room into separate spaces for the benefit and amusement of your children. One of the most inexpensive ways to divide a room is to use curtains. 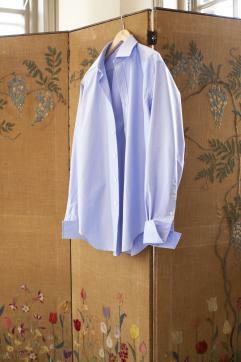 You can use curtains you already have or make ones from canvas, sheets, and curtain liners. With so many inexpensive rods in different shapes and sizes, you can put up an artistic and practical divider in little or no time. One innovative trick is to use a curved shower rod and attach it to a corner of the room. Add some café rings and a pretty curtain and you instantly create a closet or dressing room. Use pleated curtains stapled to pieces of plywood and attached to the floor on a wood 2' by 4' base for a cheap and pretty room divider. For another idea, making a room divider using PVC pipe and material is not difficult. Do not also forget to scour hospital and office supply auctions as well as flea markets for utilitarian or decorative folding screens. With a little imagination and by taking your time, you can multiply your living space using simple division - simple room division that is! Before you can start building your room divider, you need to collect all the materials. Although you will need to make decisions about the height, width and length of your divider and the panels that make it up, this list of materials will give you a general idea of what you need. At least three panels of wood, approximately 12 inches wide and 7 feet tall. The height of your panels in particular is something to consider. For decorative purposes, you may be able to go as low as 5 feet tall, while for privacy purposes, you will want to go taller so that people will not be able to see over the screen. Although any wood will do, plywood makes a good choice since it is light and easy to cut and decorate. Patio hinges - enough so that each panel of wood can be joined to another at the top, center and bottom. Decorative touches of your choosing - paint, stain, stencils, fabric, wallpaper and so on. Prep and decorate your panels to your liking. If you are painting or staining or attaching wallpaper or fabric, you will need to let everything dry and set completely before you can continue on with the process. Follow the instructions on the label of your paint/stain/adhesive for correct drying times. If you want to make decorative cuts in the wood, such as scalloping along the top or "window" in the panels to cover with fabric, now is also the time to do that. Line the panels up side by side. Make sure they are perfectly even. Leave a small gap, big enough to insert the hinges, between each one. Using the screws and a drill or screwdriver, attach the hinges at the top and bottom of each panel, in turn attaching each panel to the one next to it. Make sure the hinges line up perfectly across the body of the panels. Stand your screen up - your project is complete! Note that depending on the type of wood you have chosen, your room divider screen may be too heavy for you to move on your own. Dividers can be functional or they can simply be an added touch to your room, but no matter what your reason for wanting a room divider, they are surprisingly easy to build or create from existing materials. Get started today!